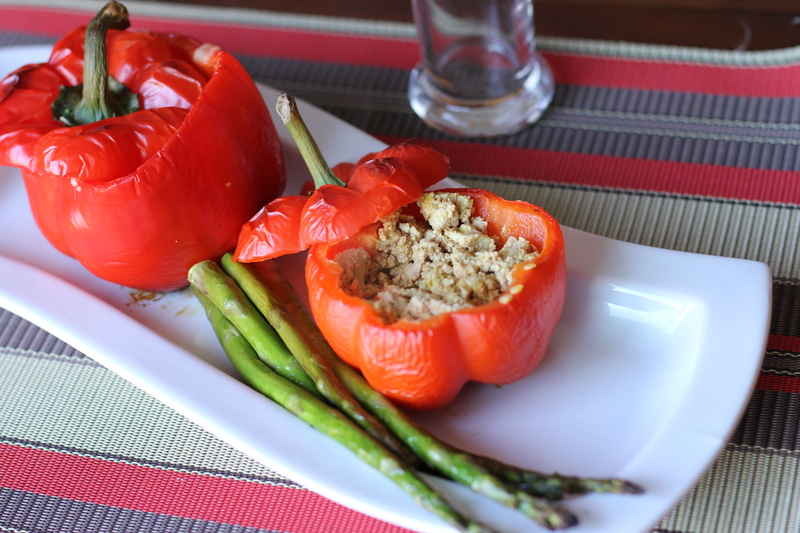 Since we came back from Europe I wanted to try making “something kind of like” my mom served us for dinner after our hiking trip; stuffed peppers. But hmm…her meal was delicious obviously but too heavy to handle for my stomach on a regular day and I learned my mistake. While doing shopping last weekend in the Organic Garage I saw a stock of beautiful big red peppers and I couldn’t resist buying them. I was planning to make them on Monday but then by the time I came back I was too hungry to wait for dinner so they had to wait. I was off today so finally I picked these 2 guys from my fridge, stuffed them with “tofu ricotta” following this recipe. cheese of your choice (Tom got it with a regular Jarlsberg and since I didn’t have any vegan cheese at home I had one without cheese). Start by washing and drying your peppers, then trim them from the top and core the center. Squeeze a garlic clove and rub them inside the peppers. Lightly oil your backing dish or use parchment paper. 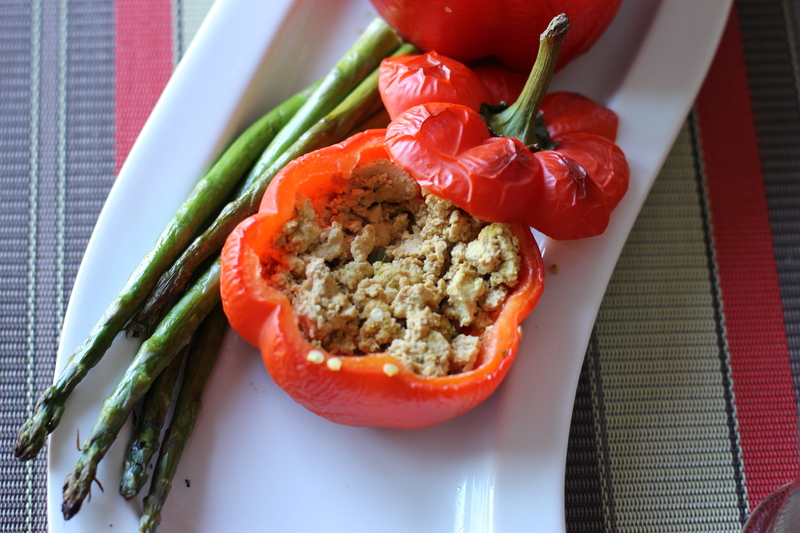 Stuff peppers with “Tofu ricotta” and sprinkle with cheese on top. Place in the oven for around 40 minutes, watch them to make sure the skin is not burning. It’s great and high in protein meal for any time of the day. You can add any veggies or salad on the side. I am always trying to get the best pic of a meal I am blogging about -sorry, not this time. Maybe I was too hungry or too inpatient to spend some time and take a proper shoot before I dug in. And believe me it tastes better than it looks. I was craving lasagna for a while (again) but wanted to try it without using a traditional lasagna pasta. I wanted to make it a lighter lunch and easier for my digestion and whoa-everything is possible. turmeric, “Tamari” (gluten free soy sauce), mustard, crushed red pepper flakes, herbs de Provence, nutritional yeast. 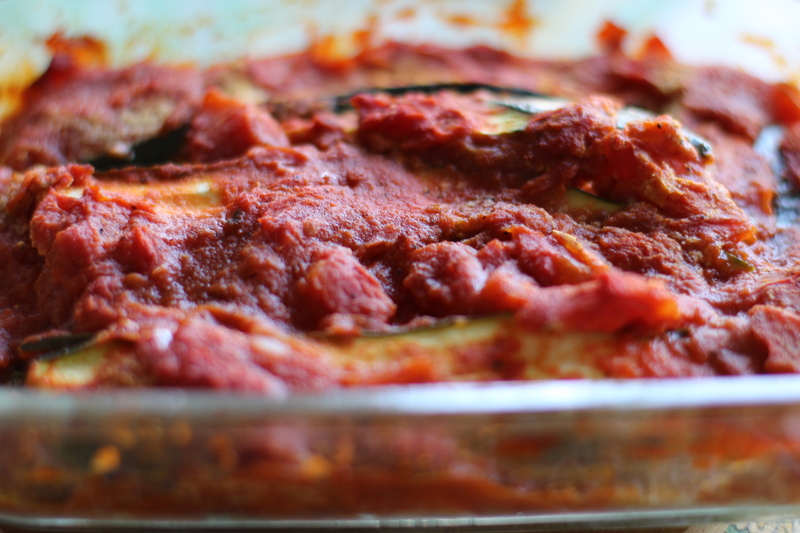 Start lining your lasagna in a baking dish with marinara on the bottom, zucchini noddles, tofu ricotta and so on until you reach the top. 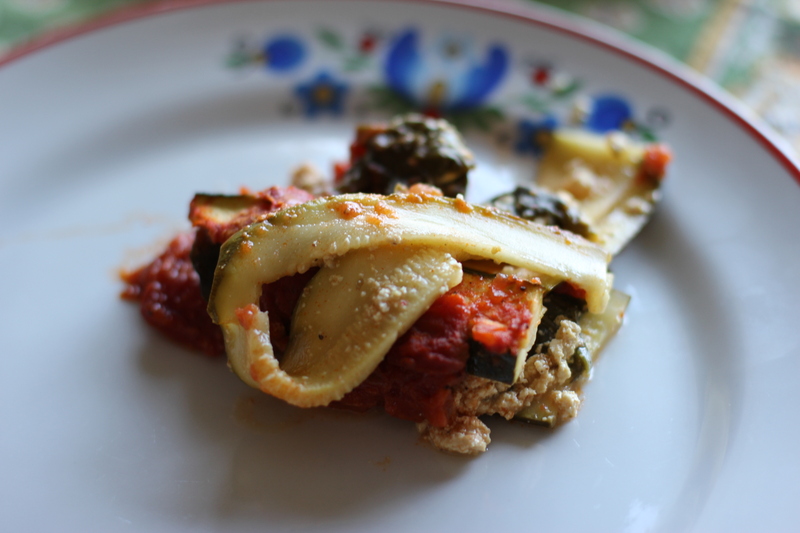 Sprinkle with more nutritional yeast or cheese of your choice. Place into the oven for around 40 minutes. I am pretty sure you won’t regret it.